WOW! You won’t believe how wonderful these 2015 Personalized Calendars are. Great Sales through the end of the year. BULK discounts from the Best Calendar Website, Zazzle. INSTRUCTIONS below. 100% Love it Guarantee, No Minimum Order, No Set Up Fees. Look below for a link to Free Calendar Website with easy to use calendar templates. ON SALE NOW Zazzle Coupons 2014 Code: CALENDAR2015 see details below. CALL Linda for HELP: 239-949-9090. Two ( 2 ) or more for Bulk Calendars 2015 discounts or buy One ( 1 ). Best photo calendar websites you’ve ever seen. You will be so impressed you will want to frame each month. See photos of my own calendar. When you receive your 2015 Photo Calendars, you will see why they’ve earned 4.8 STAR Reviews. I meticulously set up all of these calendar templates to fit a typical size photo with an extremely low amount of cropping or distortion because I noticed that the personalized photo calendars that I looked at either cropped too much of your pictures or it distorted it to fit the area. If you are not thrilled with any purchases from Zazzle, they will Give you your money back, no questions asked. I LOVE Zazzle, not only as an independant ProDesigner for them but as a regular customer. No wonder they receive such high reviews. These calendars received 4.8 STARS from customers who actually bought the calendars. I give them 5 STARS. Zazzle is the best Photo Calendar Maker around with their famous robotic printing machines that give you the best pictures. Make a Calendar and have fun while uploading your own fun and cherished memories to share with your friends and family. Memories that are sure to last for years and years. Your family can then frame these outstanding quality pictures at the end of the year or save the Personalized Photo Calendars in Bulk or Buy Only One. Vibrantly Vivid Detailed Images at amazingly low prices. ON SALE until the end of December 2014. 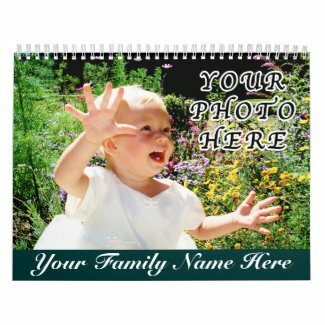 Bulk Custom Photo Calendars for many members of your family or to keep your name and telephone number in front of your customers all year long. The beauty is, No Minimum Order, No Set Up Fees and No extra cost for Special Customization just for you. CALL Linda: 239-949-9090. On Sale all of December 2014 until 11:59PM PST. DETAILED INSTRUCTIONS Below if you want more options to Change the January 2015 starting month and the December 2015 end date, or the wire color, the calendar templates grid style or the size of the annual 2015 calendar for your wall from the Standard to the Small or Large size. 1. Use the best photos you can. CLICK the tiny word “Change” located right beneath the Month, such as April (months not showing up in order). CLICK “Select 1 image for upload” Button. Choose the Image you wish for that particular month. Look at that month, by clicking the month and year under the large calendar, (click the right or left arrows) to see if the image is fitting how you planned. If not, see more detailed INSTRUCTIONS below to make it just right. 4. Proceed with Each Month including the Cover and Back or leave BLANK. Choose Quantity Calendars to buy. CLICK “Qty: 1 Calendar” Button and enter number of Calendars to buy. BULK discounts start with only 2 Calendars. Bulk discounts go up as you order more blank calendars or personalized calendars. CLICK “Add to Cart” Blue Button. CLICK “Proceed to Checkout” Blue Button. If this is your first time ordering at Zazzle, you will fill out your address, shipping address and payment information. The next time you shop at Zazzle, all this will be done.. INSTRUCTIONS to Change Default Styles and Dates. MOST POPULAR already selected. 5. CLICK the blue “Choose your style” located below the calendar month images in the # 2 section. Most POPULAR styles are already set up. This is where you can change the default calendar style, starting month and year date, wire color, calendar month grid style. 7. Choose Calendar SIZE here. Standard 11 x 17 inch (fully opened) is already selected. I have the Large. 6. Choose “Wire Color” Here. White is the default. I choose black because I was creating a calendar with darker color photos. Single Page Calendar or keep Two Page Calendar and the Calendar sizes. CLICK on the Drop Down Boxes showing the START and END Month and Year for this calendar and select a different Month and Year for both. You can buy 15 month, 18 month, 21 month and 24 month start any date calendars. Choose your calendar style (month grid style): CLICK the tiny grayish white Circle Buttons to the Preview and Change the Calendar Grid Style, such as Classic Frameless (default style already selected). There are some fun choices here as well for kids and adults. I have the “Classic Squares”. If your photos are already uploaded, then CLICK on the MONTH YEAR Image. Click right or left arrows to find the month you wish to customize. 10. MOVE or Re-SIZE your image. Grab the tiny gray boxes on the dotted lines surrounding your image. Drag to RE-SIZE or put your cursor in the middle of your picture to MOVE image. 11. ADD IMAGE: CLICK “Add Image…” Button to add another image to any month. (remember to select the right month first). Follow prompts to “Select images to upload” Button. Allow it to upload by itself. DON’T click OK. You can make a collage calendar by adding several pictures to each month. 12. ADD TEXT: CLICK “Add Text…” Button. Type in YOUR TEXT in the yellow box. Click “Done” Button. Font Style: CLICK tiny “f” to choose from over 300 cool, elegant, masculine and fun FONT Styles. Font Color: CLICK the little black Color Box to Change the Font Color. Select any Color Box or enter a hex Color Code Number in the hex# box. Font Size: CLICK the ” + or – ” in the Font Size Box located between the tiny “f” and the Color Box or Highlight the default 10 and type in your TEXT SIZE. 13. MOVE your Text: Select the month, Place your Cursor in the middle of the Text you typed (now located on your photo on the large calendar to your upper left). 14. TURN Photo or Text: CLICK the little half circle ARROW. 15. Change Background Color: CLICK tiny “Edit” drop down box. CLICK “Background” located at bottom. Choose a different Color Box or enter a hex # in the box. My Photo Calendar – I love looking at this everyday next to my desk. 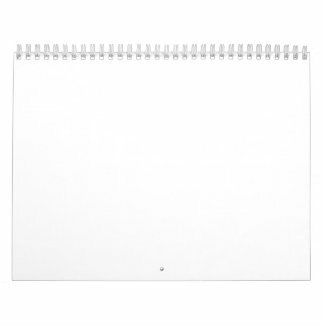 Amazing quality paper card stock and second to none crystal clear printing makes the Best Photo Calendar Website, Zazzle. BULK Calendar discounts are great too. With No Set Up charges and No Minimum Order required, you can buy 1 Blank or Personalized Photo Calendar or buy 2 or more annual wall calendars to start getting the bulk prices. My daughter and her husband bought us the Large Wall Calendar. The price wasn’t much more for the large calendar. I find it much easier if I create a separate folder for each Calendar Year with the Photos that my daughter would like on the calendar. Then I choose the pictures according which month an event occurred, when possible. I do not limit myself to that. I would prefer to put favorites photos up over keeping to the month. I highlighted my daughter and her husband’s Anniversary month with a special photo of just the two of them. For July, I added an image of my son-in-law in his uniform with my grandson (my personal favorite because I am so proud of him serving our country). For my grandson’s birthday month, I put a picture of our celebration with all of us. For September, I uploaded School Picture getting onto the bus. Very cute. Zazzle calendar my daughter and her family gave us for Christmas is above. This is truly a Calendar Keepsake gift I will keep forever. Such fun memories each and every month. Such quality pictures due to Zazzle’s AMAZING Robotic Printing Machines, you will want to frame them when the year is over. Her photos were taken with an older iPhone. The better your images, the better the calendar. Zazzle says their printing is “Second to None” and I believe it because of the incredible items I’ve purchased. I do believe this is the Best Photo Calendar Website, as Zazzle says “Second to None” printing. I love looking at each and every month with my daughter and her family memories. I am going to frame my favorite picture in there at the end of the year. Amazing quality. These photos were taken with an older iPhone so the quality. I was there for some of these memories but not for all of them. Seeing the happy smiles and fun things they did is exciting for me. Bring a touch of joy to your family and friends with these beautiful personalized photo calendars. Why make your own photo calendar when Zazzle will do it for you with amazing paper quality, great prices and awesome calendar printing. I do believe that you will agree that this is the best photo calendar website after you receive them. Much duller images. Paper is nice and thick but printing came out very dull compared to the crisp vibrant Zazzle images. To top it off, these are Professional Photos compared to the Zazzle calendar pictures were mostly taken with an older iPhone. The main photo might be from a camera on the above calendar. Adult faces are blotched out. Do I recommend the Zazzle 2015 annual calendar? A resounding YES!!! I am still amazed at how Zazzle can make such a fantastic vibrant photo personalized photo calendars at these low prices. I couldn’t make it myself at home for that price because ink and quality paper is so expensive on my small at home printer. Today I turned to a new month and therefore a new photo of my daughter and husband on their wedding day. I just love having these memories right next to my desk. In my opinion, these annual wall calendars are great personalized Christmas gift ideas. My daughter asked me if I wanted another Photo Calendar for Christmas this year and I said yes. I am already getting excited about what memories they are going to share. This was a tough year but a very BIG joyful year for them at the same time. I am so proud of my new family. She married a navy man who had to move out of state and needed to get permission from the courts to take his son with them after just being awarded full custody. Thank you Lord, they were granted the permission. My daughter is such a loving and great step mom and he is an awesome father and husband. Making Your Calendar Ideas a memory for someone you love is the perfect Personalized Christmas Gift Ideas. Customer gifts and personalized gifts for your friends and family. Your photos will look so great, you will want to frame them when the year is done. See INSTRUCTIONS below. I carefully set up the Photo Templates for the least possible cropping of your photos with a 3 to 2 ratio, just like most digital camera photos come out. Only a sliver on both sides will be cut out. Most of the calendars I’ve seen crop a lot more of the photo. Using High Resolution Large Photos will give you the best images. My calendar below was made with an older iPhone photos with low resolution and often times poor lighting, so you still can can make these great looking custom made calendars with some photo brightness etc, adjustments but the better your pictures the better your calendar. If you don’t want to buy a calendar, I really like this site for a great selection of easy to make printable calendars and pages. Prior to knowing about Zazzle, I used to just print out a calendar page and hang it buy my desk. Here is a link to a really easy to use Free Calendar Website: FREE Calendar Website From what I see, this is one of the best I ever found. So many choices to print out just a page or a full year. Different sizes and it is very easy to use. CLICK on the TIGER to visit our entire Personalizable Gifts shop with nearly 2000 customizable gifts designed by me. I love creating personalized gifts for Christmas, Birthdays, Anniversaries and Sports events. I enjoy thinking about the faces and excitement of people opening up gifts that were created just for them. You should have seen it at my daughter’s house when everyone opened up these personalized calendars. As they looked through each month everyone would laugh and talk about that special memory depicted in that month. Nonmember was my daughter’s wedding photo when I became the proud mother-in-law to a very nice young career Navy man. Please CALL or TEXT me, Linda and I can HELP you make a great customizable calendar for your family or business. You can email me the images and I can make it for you and add some nice touches to the calendar as well. No charge for any customization. Please allow an extra few days. CALLING and TEXTING is best as I get so many spam emails, I don’t want your email to get lost. If you don’t hear from me within a few hours, please CALL or TEXT: 239-949-9090. Thank your for shopping at our Blank and Bulk Photo Calendars site. You will LOVE these quality calendars with the amazing printing. 100% LOVE IT guarantee, too. Remember, Custom Calendar Printing Bulk or buy only One Calendar. These will be the most meaningful and best Photo Christmas Gift Ideas. Thank you for visiting our Photo Calendars in Bulk or Blank Calendar 2015 article. Call me if you need assistance or if you would like to have me create a calendar you will be proud to give. You will love the quality and prices of these awesome 2015 annual calendars. In case you missed it above, Calendars are ON SALE NOW Zazzle Coupons Discount Code: CALENDAR2015 until 12-31-2014 at 11:59 PM EST 15% OFF. Get even more savings with the larger bulk calendar orders. Look for the big Bulk Calendar Discounts too. SEE BIGGER SALES ABOVE in the Peach Box. Best Calendar SALE of the YEAR. See Zazzle Coupon Codes above and watch the dates. 2014 Calendars ON SALE NOW. Each Sales End at 11:59PM PST for that day.